This project aims to analyze the CV impacts on crash prevention under different highway geometric designs. This project will develop a basic framework to model traffic safety risk functions based on reliability theory by considering various adverse driving conditions, potential vehicle safety risks and associated uncertainties. This issue features the latest happenings within the transportation industry along with a list of upcoming transportation conferences and webinars. You can also find some of the latest news from our faculty and students! The main objectives of the present study were to establish the behavior of mechanical bar splices suited for bridge columns, to generate an experimental database for seismic couplers, and to quantify the effect of such couplers on the seismic performance of bridge columns. The objective of this project is to attempt providing a better tool for FRC designers to be able to make more robust claims about the performance of an FRC element in transportation infrastructures. This project will evaluate the ability of a new tests, called the IDEAL-CT, to determine potential cracking performance of asphalt mixtures. The data will be compared to the results previously obtained by using the SCB IFIT tests (AASHTO TP-124) in terms of relation to field performance, repeatability, and simplicity. The project investigates a bridge bent with self-centering precast concrete columns for Accelerated Bridge Construction (ABC) in high seismic regions. The proposed hybrid system consists of post-tensioned precast concrete columns in a two-column bridge bent with one or two Buckling Restrained Braces (BRBs) as external energy dissipation devices. In 2010, a section of roadway on Utah SR 30 near Emery, Utah was reconstructed using a geogrid-reinforced pavement system. This project was intended to demonstrate the effectiveness of geogrid in reducing cost, providing longer service life, and reducing long-term maintenance of the pavement system. Differential settlement in the transition zone between the bridge structure and the approach embankment often creates a "bump" which is a potential safety hazard and comfort issue for drivers. This research focuses on identifying innovative means to mitigate this issue during design and construction. Research Report: Why Are Bike-Friendly Cities Safer for All Road Users? This project is intended to develop constrained system-optimal route planning solutions for fleet route planning, ridesourcing and ridesharing, and perform an extensive simulation-based comparative analysis to evaluate performance of the proposed solutions versus existing state-of-the-art solutions. This proposal focuses on expanding the capabilities of a system developed by the principal investigators called, Business Commute Optimization system (BCOS). BCOS is designed to identify optimal selection of commute alternatives for employees in a business to minimize their transportation emissions and air pollution as well as commute time and cost. This research aims to quantify the deleterious effects of alkali-silica reaction (ASR) on the behavior of concrete bridges, to examine the efficacy of composite-based repair to improve the capacity of ASR-damaged concrete members, to develop a theoretical model which can predict the performance of ASR-damaged and composite-repaired concrete members, and to propose design/practice recommendations for the implementation of the proposed composite repair method. This research project will conduct a comprehensive spatial analysis of the sidewalk infrastructure of two cities that take on the responsibility of sidewalks, and two that put that responsibility onto the abutting property owners. Denver Tolliver, director of the Upper Great Plains Transportation Institute at North Dakota State University, received the 2019 S.S. Steinberg Award from the American Road and Transportation Builders Association (ARTBA) earlier this month. University of Utah master's student Nuzhat Azra received the 2018 Ellis L. Mathes Scholarship from the Intermountain Section of the Institute of Traffic Engineers at the group's annual meeting in Jackson, WY. Yail (Jimmy) Kim, University of Colorado Denver professor of civil engineering, received the 2018 Excellence in Research and Creative Activities Award. The award recognizes exemplary work at the university and recipients are chosen by a selection committee comprising previous award winners. In a webinar held November 29, 2018, Ahmad Ghadban shares the research findings of MPC-437. This research will review state-of-the-art ABM in transportation, determine an agent's travel behavior in rural and small urban freight movement, design a multi-agent system, and investigate applicability of the agent's travel behavior to statewide freight demand mode. The proposed research will attempt to identify linkages between leadership practices, safety culture and fatigue management practices that are effective in reducing accidents and injuries in various transportation/transit organizations. Repair of reinforced concrete bridge decks represents a large portion of bridge manager's budgets. A survey of 52 transportation agencies identified more than 100,000 bridges across the United States that have exhibited early age bridge deck cracking. The use of Light Detection and Ranging (LiDAR) technology has been growing in the transportation industry in recent years. The technology has been proven to provide precise, accurate, and high-density point clouds that can be related to a global reference frame. The objectives of this project were to identify potential transportation-related applications for aqueous waste streams available in South Dakota. CO2 released by construction processes, as well as material production, is taking a substantial toll on the environment. This study seeks to develop a system to rank bridges based on their CO2 emissions. This report proposes an uncertainty-based approach to planning inspection timing and determining inspection type based on limited resources. This presentation will cover research conducted by South Dakota State University to examine if snow plowing and winter maintenance affected the performance and durability of various pavement marking materials. This study also evaluated the constructability, durability, and visibility of alternative pavement marking materials. The webinar will be held on December 11. In this issue you can find information on graduate school news and recent/upcoming happenings in the transportation field. This issue also includes a variety of upcoming transportation conferences, workshops, and webinars you may be interested in. A comprehensive literature review, as well as interviews with SDDOT and other DOT personnel, were carried out in this study to evaluate past FRC experiences, effect of different factors on the properties of FRC, and existing FRC design and construction practices. The study shows that when miles of road are held constant (a realistic scenario), a 100% increase in RGTM results in a 50% increase in track investment. 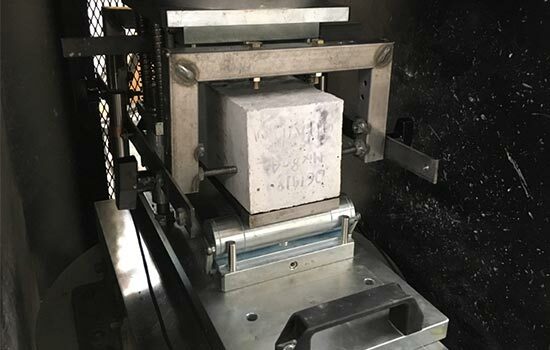 An experimental research study was conducted to develop optimized concrete mixtures for jointed plain concrete (JPC) pavements and field evaluation of newly constructed JPC pavement sections along South Dakota highways. This research seeks to synthesize both rich vehicle-level datasets derived from experiments with CAV sensors and systems and the state of the art transportation-system level datasets to compose second-by-second vehicle-level Lagrangian predictions of vehicle velocity trajectories, applicable to CAVs. The proposed study aims at evaluating bio-asphalt binders and additives derived from agricultural products and byproducts prevailing in North Central Region (e.g., corn and soybean) as the primary feedstock. This will be achieved through a laboratory testing program to evaluate the performance of asphalt mixes containing plant-based bio-asphalt binder and cellulose Nano-fibers. In this study, we address the problem of simultaneously selecting the location of the DWPT facilities and designing battery sizes of electric buses for a DWPT electric bus system. Structurally deficient bridges in the United States may be replaced with a viable alternative made with Cross Laminated Timber (CLT). The ultimate goal of this project is to improve bridge sustainability and performance using CLT products. This report describes the selection of a comparison group of urban diamond interchanges, crash data collection, calibration of functions used to estimate the predicted crash rate in the before and after periods, and the Empirical Bayes before and after analysis technique used to determine the safety effectiveness of the diverging diamond interchanges in Utah. Mark Johnson will be awarded the John M. Agrey Award. The Institute's highest award recognizes an individual who has made significant contributions to the state of North Dakota through involvement with transportation. The award will be presented at the Upper Great Plains Transportation Institute's Annual Awards Banquet held Oct. 4 where we honor individuals who have made significant contributions to the transportation industry in the region. Dave Leftwich will receive the Institute's Lifetime Achievement Award recognizing those who have had distinguished careers in a transportation-related field. The award will be presented at the Upper Great Plains Transportation Institute's Annual Awards Banquet held Oct. 4 where we honor individuals who have made significant contributions to the transportation industry in the region. Dennis Ming will receive the Chairman's Award. The award recognizes an individual for contributions to transportation research, education, and outreach at NDSU, and/or contributions to the viability of the Upper Great Plains Transportation Institute. The award will be presented at the Upper Great Plains Transportation Institute's Annual Awards Banquet held Oct. 4 where we honor individuals who have made significant contributions to the transportation industry in the region. Josiah Anthonie Herrera will receive the $2,000 Tribal Transportation Scholarship. The scholarship recognizes outstanding Native American students with an interest in transportation engineering, economics or agriculture who are enrolling at North Dakota State University. The scholarship will be presented at the Upper Great Plains Transportation Institute's Annual Awards Banquet held Oct. 4 where we honor individuals who have made significant contributions to the transportation industry in the region. Alicia Lorig and Jenna Ruth Lee will receive the $1,500 Transportation Engineering Scholarship. The scholarship recognizes academic achievement and promotes the education of transportation students at NDSU. The scholarships will be presented at the Upper Great Plains Transportation Institute's Annual Awards Banquet held Oct. 4 where we honor individuals who have made significant contributions to the transportation industry in the region. Sarah Irmen will receive the $2,000 Charles E. Herman Scholarship. The scholarship recognizes academic achievement and promotes education of transportation students with a preference to women and minorities at NDSU. The scholarship will be presented at the Upper Great Plains Transportation Institute's Annual Awards Banquet held Oct. 4 where we honor individuals who have made significant contributions to the transportation industry in the region. Shelby Hartwig and Marc Michaelson will receive the $1,500 Paul E.R. Abrahamson Transportation Scholarship. The scholarship recognizes outstanding students at NDSU with an interest in the transportation and logistics of agricultural products. The scholarships will be presented at the Upper Great Plains Transportation Institute's Annual Awards Banquet held Oct. 4 where we honor individuals who have made significant contributions to the transportation industry in the region. This report presents finite-element calculations of the vibrational modes of MLCCs. The geometric symmetry in the finite-element model was orthorhombic, with three orthogonal mirror planes, and the detailed internal structure of interleaved metallic and ceramic materials was included in the model. As many transit agencies are testing electric buses and considering the integration of electric buses into future fleet, this research will help transit agencies make informed decisions regarding strategic planning and design of BEB systems. This research seeks to investigate highway rail grade crossing (HRGC) crash predicting models and contributing factors by exploring the application of GLM and data mining models. This study aims to investigate the age-dependent changes in flexural and fracture properties of fiber-reinforced concrete (FRC) used in the design of thin overlay pavements. Four different types of steel or polypropylene macro-fibers with different dimensions and different fiber volume contents (0%, 0.5%, and 1.0%) were selected and investigated. This project will incorporate tourism-related data into the travel demand model and develop methods to estimate traffic volume on low-volume roads near tourism destinations in Wyoming. Tourism trips occupy a major part of traffic volume in Wyoming, especially in frequently visited areas. This project seeks to study the effect of different parameters related to geometric features (including the radius of the horizontal curve, superelevation rate, and longitudinal grade), vehicles characteristics (including type, weight, and the braking forces), and the weather condition (including side friction factor, wind speed, and wind direction). This study is the first step in improving the failing interchanges in MPR in a more beneficial way. Therefore, the results will be useful in the planning phase of the interchange improvement projects which are going to consider a DDI as the target design, while the super DDI might be introduced for them as a better alternative which provides more benefits. This project focuses on the mitigation of flooding-related traffic disruptions by implementation of green infrastructure stormwater management. Traffic disruptions can be caused during flooding events in urban areas when the existing stormwater management is not effective at stormwater drainage from roadways. This research aims to utilize a modeling and simulation approach to help improve the efficiency and reliability of the high-capacity service, which makes BRT an appealing system for potential riders. This project advances existing knowledge by presenting a systemic approach for a sampling scheme development to assist maintenance activity planning. The proposed method addresses how much and where agencies need to collect asset condition data for accurate LOM estimation. In this project, we propose a methodological framework for analyzing the FMLM problems by determining varying causes of poor public transit accessibility and identifying areas with immediate needs for improvements. Transportation and Logistics Ph.D. student Bukola Bakare has launched an innovative portable vegetable garden project to help low income families and new Americans in the Fargo-Moorhead area eat healthier food. The project was funded by a grant from Minnesota State University Moorhead. Bakare, left, helps a volunteer plant a portable garden. This project studies effective configurations of self-centering devices in the seismic retrofit of curved bridges for control of longitudinal and lateral forces. Reparability of bridge columns is investigated experimentally. Ductile fracture has been identified as the predominant mode of failure for structural elements under extreme loads and the prediction of such represents considerable challenges. Matt Shatzkin, who earned his PhD in transportation and logistics from NDSU in 2014 has joined NDSU as an adjunct professor. Shatzkin has been a U.S. Army logistics practitioner for 27 years, achieving the rank of colonel. The objective of this project is to provide a better tool for FRC designers to be able to make more robust claims about the performance of an FRC element in transportation infrastructures. This will be carried out through statistically quantifying the range of variability in the flexural strength of FRC using Monte Carlo Simulation. The ultimate goal of this project is to provide a better understanding of structural performance of in-service DT bridges loaded with actual trucks. Over the last two decades, the use of advanced scientific and data-driven statistical methods has been continuously evolving to reduce the frequency and severity of crashes on our roadways. The primary purpose of this report is to examine the suitability and transferability of the 2010 HSM's SPFs to Wyoming-specific conditions. The goal of this project is to conduct assessments of two safety interventions for teen drivers aimed to improved public safety. One intervention is administered at the population level and the other at the driver level. Motor vehicle crashes are the leading cause of unintentional injury for the American Indian population ages 1 to 44. A fundamental aspect in this injury prevention is the ability to select evidence-based interventions based on high-quality data documentation of the injury events. NeTia Bauman, tribal program outreach coordinator for the Upper Great Plains Transportation Institute at North Dakota State University, is serving on the 2018 National Transportation in Indian Country Conference (NTICC) planning committee. Those attending the 2018 American Society for Engineering Education Annual Conference & Exposition in Salt Lake City will have a unique opportunity to visit the UDOT Traffic Operations Center where Utah Department of Transportation leaders will describe technologies in which UDOT has become a national leader: rapid bridge replacement, innovative intersections, connected/autonomous vehicles, and traffic signal management. UDOT collaborates with the University of Utah on a variety of research related to these technologies. Seven students will be the first to graduate from the newly formed graduate-level Department of Transportation, Logistics and Finance within the College of Business on Saturday, May 12. The new department is the new home of the Transportation and Logistics Academic Program that was previously managed by the UGPTI. The goal of this study is to extend the application of EPS geofoam to that of directly supporting relatively lightweight bridge structures without the need of installing intermediate or deep foundation systems or using ground improvement to stabilize the foundation soils. This study evaluates the concept of using EPS blocks to support two-lane, single-span highways and pedestrian bridge structures under gravity and seismic loads.